Since Airbus acquired the competing Bombardier’s C Series program – now marketed as the A220 – the two entities have been looking at “synergies and integration opportunities for flight test”, says Airbus. Full-scale durability and damage-tolerance testing was completed at the IABG test facility in Dresden, Germany, in 2018. The airframe metallic structure was subjected to 180,000 flight cycles (FC) and residual strength testing to validate primary-structure durability, inspection techniques and intervals, typical repair procedures, and damage tolerance. Three of the Pratt & Whitney (P&W) PW1500G-JM powered aircraft, A220-100 manufacturer’s serial number (MSN) 50002, plus A220-300s MSN55001 and 55002, are being used in flight testing for post-certification activities, software-upgrade development and certification, as well as to investigate in-service ‘issues’. Overall, eight A220 flight test machines had logged 6,867 flight hours (FH) in 5,345 flights (including 5,081FH in 4,142 flights by six A220-100s) by September 2018.
testing planned for late September. Before being retired, the other A220-300 was tasked primarily to complete dual-lane slide certification and cold-/extreme-cold weather testing (in the coming northern winter); it also supported Airbus’ marketing activities. Airbus is supporting P&W’s tests of the PW1100G-JM engine for the aircraft, “further improving … maturity and ‘time-on-wing’” with continuous-airworthiness campaigns using A320neo MSN6101. Maturity flight testing in 2019 will use new engine-build standards and MSN6101 for both certification and maturity work. Meanwhile, A321neo MSN6673 will perform Category III automatic-landing ‘Step 2’ flying in 2019 to extend the family’s “authorized wind envelope”. This will remove current auto-land wind limitations that apply to both PW1100G-JM and CFM International Leap-1A engines. Among the variants, Airbus will not claim a record for a long-range A321LR 11-hour, 4,750nm flight from the Seychelles to Toulouse, France, in March 2018, which carried 178 real and dummy occupants to test cabin-environment and fuel systems. Airbus has also reorganized A319neo certification, abandoning building the planned MSN6620 for Leap-1A24 flight testing. The work was reassigned to MSN6464, which was planned to be withdrawn in late 2018 for re-engining with PW1124G-JM units. Airbus said A319neo deliveries would be in line with “commitments taken with customers”. 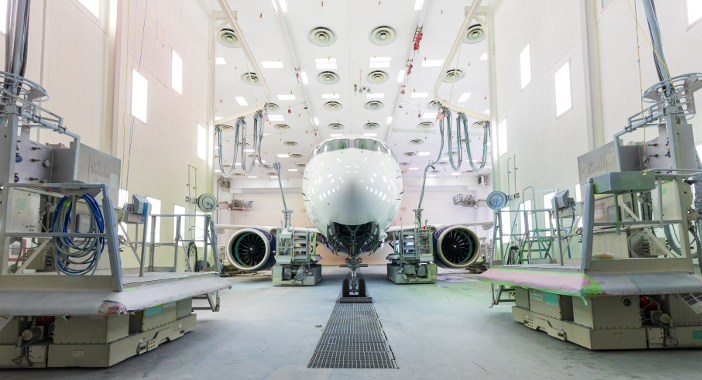 Specifically, the manufacturer told Aerospace Testing International: “A319neo P&W certification will happen in due time.” The company has also consistently declined to confirm plans for an ultra-long-range (ULR) A321neo with extra fuel capacity. The basic Leap-1A32-powered A321LR had flown in January 2018, leading to a near-100FH test campaign ahead of planned European and US certification and service-entry later in the year. By September 2018, two A330-900 flight-test aircraft and TAP Air Portugal’s first production example had completed about 1,400FH and around 400 flights, as the variant received formal airworthiness approval. Performance and handling-qualities flight-testing of the smaller A330-800, using MSN1836, was expected to begin in late 2018 ahead of certification about six months later. Airbus has been looking at increasing the range of the larger A350-1000, although it declines to say more than that it will “always consider future improvements in line with market and customer needs”. Having previously increased the variant’s maximum take-off weight to 316,000kg (348 tons), the manufacturer is understood to be considering an additional 3,000kg (3.3 tons) through introduction of extra fuel capacity to increase range beyond the current 8,400 nautical miles. It was out with the old in 2018 for Boeing as the 777 prototype was consigned to a museum after 24 years, 20,519 commercial flights, and 49,687FH of service. 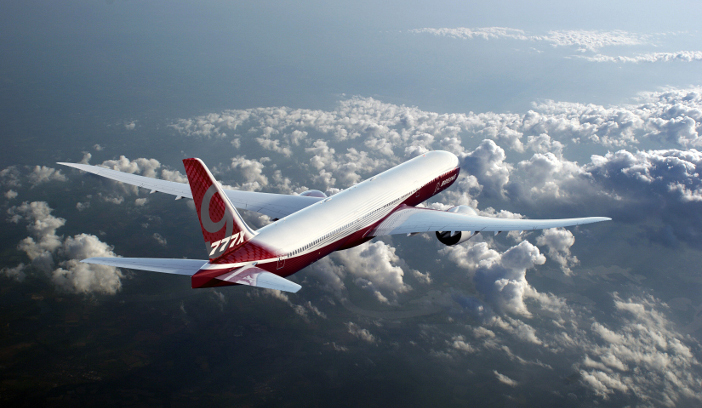 But it was also in with the new, as Boeing prepared for 777-9 ground testing and continued 787-10 development. Also in hand was further progress with the re-engined 737 Max family – including the third and smallest Max 7 (737-7) variant, Max 200, and stretched Max 10 (737-10). The latter two aircraft are expected to enter service in 2020. After accounting for 10-15% of deliveries in 2017, re-engined, Leap-1B-powered Max variants were expected to represent 40-45% of 2018 737-family output, according to Boeing. Overall, it expects 60-65% of Max deliveries will be 737-8s, with 737-9s and -10s comprising 30-35%, and Max 7s the balance. In January 2018, Boeing completed firm configuration of the 230-seat 737-10, which is 66in (1.6m) longer than the -9 and will incorporate redesigned main landing gear for necessary rear fuselage take-off and landing runway clearance. Over 70% of necessary engineering details required for initial production were complete by September 2018, with Boeing preparing for production in 2019. March 2018 saw the maiden flight of the first 172-passenger 737-7 (test-fleet identity 1E001). Designed for operations from high-altitude airports and in hot climates, the variant was expected to receive certification and enter service by early 2019. Second flight test example 1E002 was earmarked for high-temperature and high-altitude flight-validation take-off tests, which are to be conducted in China. In September 2018, Boeing moved the first 777X (Line Number 9995) into its static-test building ahead of 12 months of trials. The static-test aircraft lacked avionics systems and engines, and its wingtips lacked the folding mechanism planned for production 777-8 and -9 variants. 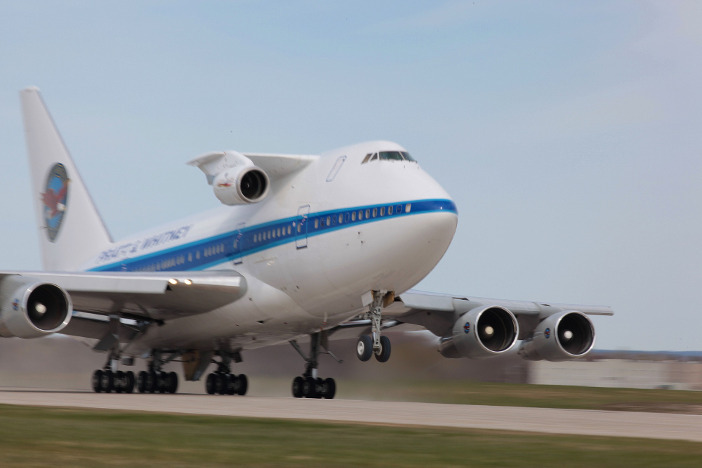 Also set aside for ground-testing is the sixth airframe, which was half complete in mid-2018. Six aircraft are being used in a three-year flight- and ground-testing development program for the 777-9, with first delivery planned in 2020. Production of airframes 2-6 had begun by August 2018, at which time Boeing had developed 98% of the detail design. Boeing has not publicly released assigned roles for each flight-test aircraft, but the four 777-9s, dubbed WH001 to WH004, will perform a full range of duties including: aerodynamic and brake performance testing, automatic flight, avionics, engine/APU performance, environmental systems, extended twin-engine operations (ETOps), flight-envelope expansion, flight loads, functional and reliability tests, interior systems, primary flight controls, and stability and control. Boeing flew six 787-8 flight test aircraft for 4,800FH, more than three times that for the five -9s, while 787-10 testing required just three test machines and about 900FH. By August 2018, five of the aircraft had been retired, delivered, or were in work to be delivered to customers, except for the fourth example, ZA004, which was stored pending performance-improvement upgrade testing. Rolls-Royce Trent 1000 TEN-powered Boeing 787-10s entered service in early 2018, as flight testing involving aircraft ZC001, ‘002 and ‘036 was concluded. Meanwhile, certification for General Electric GEnx-1B-engined examples was pending in late 2018 as Boeing awaited updated engine-control software or temporary FAA airworthiness exemption. 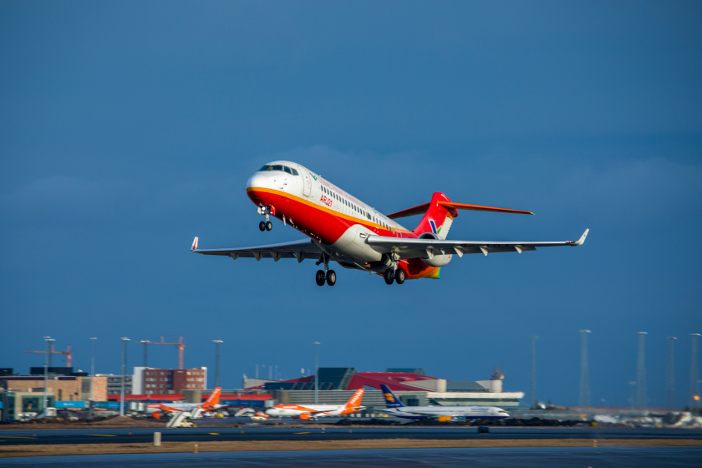 Launched in 2008 to build what became the single-aisle C919 twinjet, which first flew in 2017, Commercial Aircraft Corporation of China (Comac) inherited the Aviation Industry Corporation of China ARJ21 regional jet that entered service in June 2016. Comac also has a joint venture with Russia’s United Aircraft Corporation (UAC) to develop the 280-passenger, 12,000km-range (7,450 miles), CR929 twin-aisle twinjet, which, in late 2018, was in preliminary-design stages. By mid-2018, 11 GE CF34-engined ARJ21-700s, including initial test aircraft, had flown. A third ARJ21, MSN103, completed a 12-day high-temperature operations evaluation, largely aimed at verifying system changes to increase maintenance efficiency and cost-effectiveness. In March 2018, MSN101 completed crosswind testing in Iceland to obtain clearance for operations in 30kts crosswinds at take-off and 27kts during landing. Following tests of an enhanced flight control system in 2017, flight testing in 2018 was planned to focus on system upgrades and weight reduction. Ahead of European C919 airworthiness approval, Comac hopes to obtain Chinese certification by the end of 2020, in time for entry into service in the following year – 12 months later than the date given in 2017. By mid-2018, Comac had completed static and damage-tolerance tests for a composite wingbox project and the aircraft had undergone cabin-pressurization load-limit and whole-aircraft static-load testing. Also being tested was a Chinese CJ-1000AX high-bypass demonstrator engine, developed as an alternative to the LEAP-1C fitted to initial C919s. It is understood that China plans to build another 24 CJ-1000s for certification work. A planned 4,200FH test program involves six aircraft, MSN101-106. The first two flew in 2017, and MSN103 was scheduled to fly in 2018, when MSN104 was also to be rolled out. Comac and UAC established the joint venture China-Russia Commercial Aircraft International Corporation (CRAIC) to produce the CR929 twin-aisle twin-engine jet, which will comprise three models: the initial CR929-600, and the -500 and -700 shrink and stretched siblings. In mid-2018, the CR929 engineering team confirmed finalization of the aircraft’s external dimensions and basic aircraft configuration. CRAIC’s next milestones were completion of wind-tunnel tests, selection of structural materials, including more than 50% composites, and choice of principal suppliers by mid-2019. CRAIC has received seven engine manufacturers’ proposals, which it planned to have “analyzed, clarified and evaluated in detail” by the end of 2018. In July, CRAIC released a formal request for proposals for the CR929 landing gear. Construction is set to start in 2021, and the first flight is scheduled for 2023 – two years ahead of service entry. The aircraft is expected to feature “more electric” systems, for braking, environmental control, flight-control actuation and thrust reversing, and to share the same cockpit design as the C919. 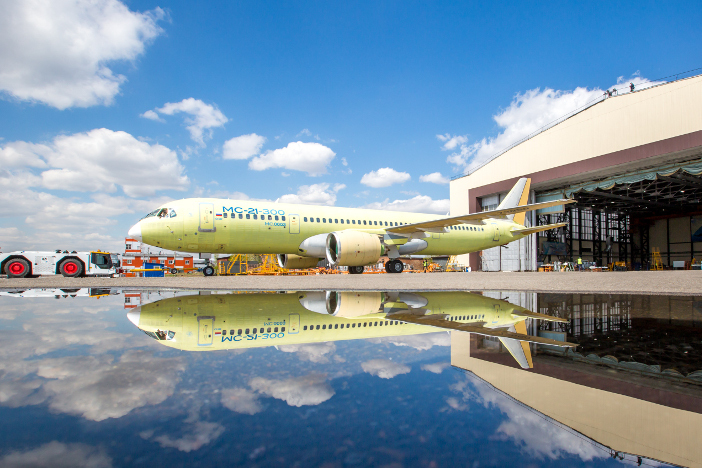 Development of the 76 to 90 seat E175-E2 – the smallest and last member of Embraer’s second-generation E-Jets family – was “right on schedule” in September, said the Brazilian aircraft manufacturer, with initial assembly planned to start before July 2019. Flight testing of the prototype, MSN20006, was expected to follow by the end of the year, with certification and entry into service scheduled for 2021. That aircraft and second prototype MSN20007 will be used for all of the required aerodynamics, loads, minor-systems compliance, and propulsion tests. The third aircraft, E175-E2 MSN20008 – the first with a cabin interior – will be used primarily for cold soak, comfort and intra-systems tests, and function and reliability (route-proving) flights. The E175-E2’s engine, landing gear, tailplane and wings will require specific tests, although the manufacturer will take credit from the E190-E2 systems commonality and so will not need a dedicated aircraft for systems-compliance demonstration. 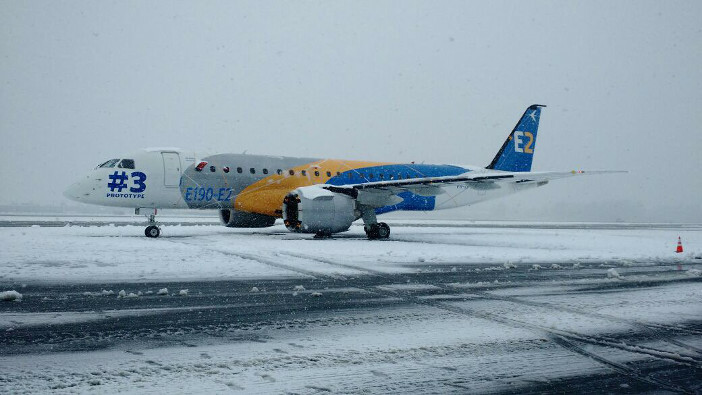 Two E190-E2 prototypes remain active. MSN20003 is involved in optional certification campaigns, while MSN20004 is dedicated to global demonstration flying. Three E190-E2s were delivered between April and June 2018 and Embraer expected to supply up to seven more to customers by year’s end. and fuel, in addition to specific cabin evacuation and inspection campaigns”, ahead of what it expects to be a 2019 airworthiness approval. The manufacturer claims that an important aspect of E2-family development has been a focus on product maturity. To exceed typical airworthiness-approval requirements, Embraer created around 600 aircraft-systems maturity tests to include typical operational scenarios not normally fully covered by certification tests. Focused on achieving type certification for the 81 to 92 seat Mitsubishi Regional Jet 90 (MRJ90), Mitsubishi Aircraft (MitAC) had by September 2018 logged over 2,000FH and completed more than 50% of planned flight testing. The PW1200G-JM-powered machine, Japan’s first new commercial aircraft for 50 years, was “making steady progress” toward service-entry, now set (after several delays) for mid-2020. 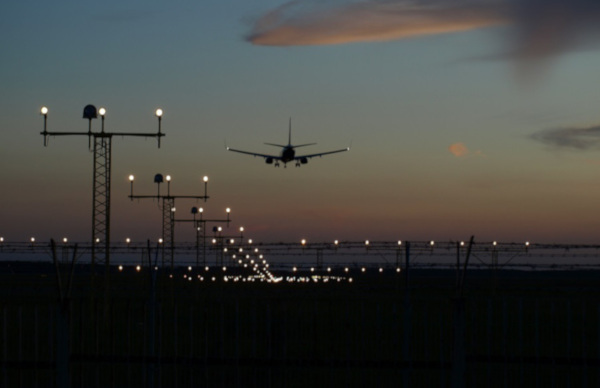 After a series of Japan Civil Aviation Board (JCAB) familiarization flights, MitAC was “working very closely” with the regulator to obtain Type Inspection Authorisation and was expected to release more information “in the coming months”. Four flight test aircraft (MSN10001-10004) had undergone “full envelope testing, including in hot and cold, high and low, and fast and slow environments”. The company has been working with US flight-test and type-certification partner Aerospace Testing Engineering & Certification at MitAC’s flight test center in Moses Lake, Washington state, supported by teams in Nagoya, Japan and also in Seattle. planned for JCAB type certification 12-18 months after that for the MRJ90. There are three initial MC-21-300 test aircraft. The second aircraft, MSN003, first flew in May 2018 almost exactly 12 months after the first, and a static-test specimen, MSN002, at Russia’s Zhukovsky Central AeroHydrodynamic Institute (TsAGI). Powered by PW1431G-JM engines, the flying MC-21-300s are based at the Zhukovsky Flight Research Institute, near Moscow, where the two single-aisle jetliners are involved in stability and control tests as part of a 1,150FH program ahead of planned certification in mid-2019. An MC-21 equipped with indigenous Aviadvigatel PD-14 powerplants, for which European approval is expected in 2021, is scheduled to fly by mid-2019. 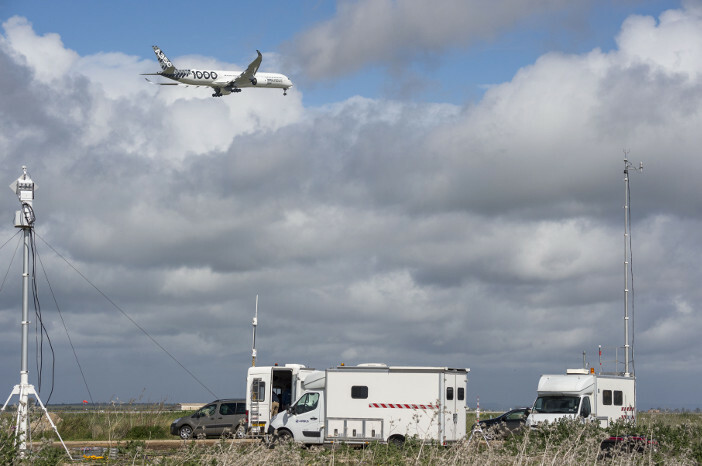 The first aircraft (MSN001) is also being used to assess take-off and landing characteristics, engine operation including inflight restarts, and recovery from deep-bank rolls. The second machine is undertaking controllability checks with various wing configurations, with landing-gear extension and retraction, and testing of onboard equipment. Irkut plans to build three more test machines before it enters serial production of the MC-21-300, including fatigue-test airframe MSN005. Sukhoi Civil Aircraft wants the flight deck of its proposed 75-passenger Superjet 75 (SSJ75) to be similar to that of the Irkut MC-21, as parent company United Aircraft plans to the consolidate the two companies’ civil-aircraft production. The Superjet 75, which is now in development for service entry in 2022-23, will have modified engines, fuselage and wings, while avionics and some structures will be “unified with the MC-21”. In mid-2018, Sukhoi Civil Aircraft had yet to decide on an engine for its planned SSJ100R ‘Russified’ variant, which is currently powered by the Franco-Russian PowerJet SaM146, developed jointly with Safran (Snecma). 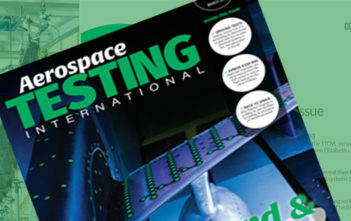 This article was originally published November 2018 as part of Aerospace Testing International’s 2019 Showcase Issue and was written by Ian Goold. To see it in its original format and more great articles like it go here.